This New York Times bestseller illustrates the concept of reasonable doubt through a compelling court case. A New York Times bestseller, this book has now been updated with additional content. 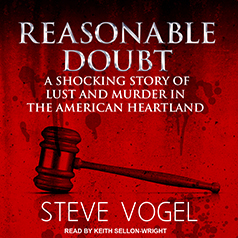 Readers often comment they must continually remind themselves that this story is real, that "Reasonable Doubt" is testament to the fact truth is stranger than fiction. The book has also been used in college-level criminal justice courses to explain and illustrate the legal concept of reasonable doubt.